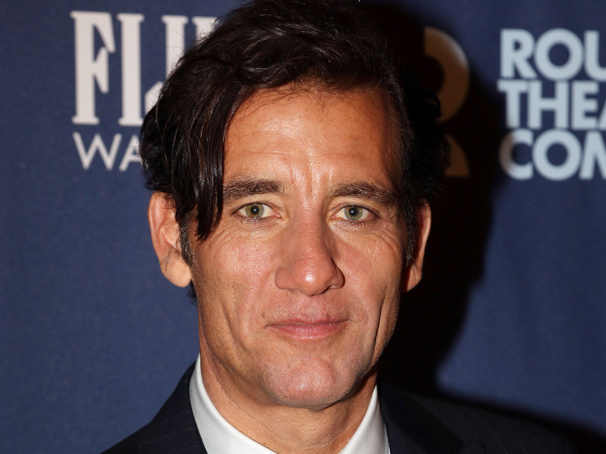 Stage-and-screen star Clive Owen has signed on to play Rev. T. Lawrence Shannon in a new West End production of Tennessee Williams' The Night of the Iguana. Directed by James Macdonald (True West), the new production will begin previews on July 6 with an opening night set for July 16 at the Noël Coward Theatre. Owen is an Oscar nominee for Closer and an Emmy nominee for Hemingway & Gellhorn most recently seen on Broadway in M. Butterfly. His U.K. stage credits include Romeo and Juliet, Closer and A Day in the Death of Joe Egg. Set in the strange limbo of 1940 on a dilapidated hotel veranda perched high in a rainforest above the west coast of Mexico, The Night of the Iguana follows a group of lost souls who collide: a defrocked priest turned tourist guide, the grieving widow who runs the hotel, a family of jubilant Nazis and an itinerant portrait artist with her 97-year-old poet grandfather. The result is an epic battle between flesh and spirit, captivity and freedom, art and faith, heightened by the arrival of a tropical rainstorm. Joining Owen in the cast will be Lia Williams (The Crown) as Hannah Jelkes, Anna Gunn (Breaking Bad) as Maxine Faulk and Julian Glover (Game of Thrones) as Nonno. The production will feature set and costume design by Rae Smith, lighting design by Neil Austin and sound design by Max Pappenheim. The Night of the Iguana will play a 12-week limited engagement through September 28.